Eye Care Directory offers up-to-date information about the optical eyeglasses stores and eye doctors for your vision needs in the Stanley of County Durham. You may arrange an free eye exam, buy prescription eyeglasses, RX sunglasses or donate your old eyeglasses by using the contact information in the directory. 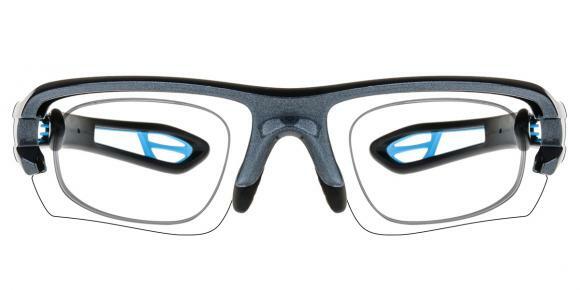 Is $158 too much for a pair of transition glasses? would like a straight answer..who much is too much? How does AMD affect driving? This is a difficult question. Many people with mild forms of Macular Degeneration do drive legally, and do not have problems. It would be best to discuss your visual limitations and their effect on driving with your eye care professional. Driving is a symbol of independence for many people, and individuals with progressive vision loss may be unwilling to face the fact that their vision impairment may impede save driving. Often people with Macular and other retinal degenerations speak of "near miss" accidents that force them to confront their vision loss and acknowledge that it is affecting their driving. It is important to remember that your driving affects not only you but other drivers and pedestrians, and that the results of an error can ultimately be life-threatening. Does contact lens solution brand matter? Yes, it is of great importance. If you don't pay enough attention, you may get allergic to a certain ingredient of the contact lenses solution. Or the solution you choose may not be able to clean the contact lenses you buy thoroughly, because there are many materials for contact lenses and relatively many kinds of solutions. The three things to consider when you are choosing contact lenses solution are: 1. The contact lenses solution you choose should be able to disinfect, clean thoroughly and reduce germs, taking the material of contact lenses into consideration. 2. Find out if there is allergen in the composition of contact solution which you choose. 3. Price is the everlasting topic which you should also consider. What are pros and cons of transition glasses? There are a lot of benefits with transition glasses, they reduce eye strain and fatigue indoors and squinting in sunlight. They are available in brown and gray variable tints to suit your personal style. The lenses can save you money as you don%u2019t need to buy separate prescription eyeglasses and sunglasses. But they don%u2019t work in a car because the windshield blocks the UV rays that are necessary to initiate the lenses%u2019 darkening mechanism. Maybe you may have to take off your glasses for outdoor photos. Since the lenses darken as soon as you walk outside, your eyes will be obscured in pictures. Where to buy the Rx insert sporty frame type? 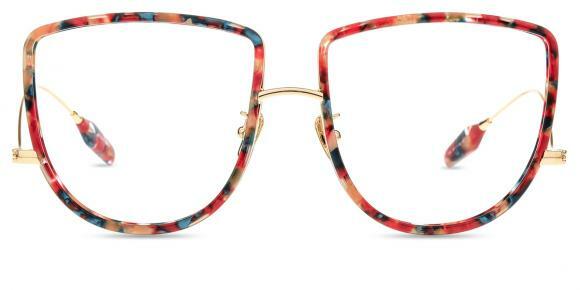 I bought mine here, https://www.australiaglasses.com/ excellent quality and reasonable price. How to Protect Your Eyes from UV Rays ? You can use eyewear or a brimmed hat to protect your eyes. Choose the eyewear that can absorb UV rays for they can give you the most protection. You should choose the UV-blocking lens materials, photochromic lenses, coatings. Many people think that sunglasses will cost us a lot, but actually they will not cost us a lot of money. And they can make us see things more clearly. Is chamomile oil good for dark circles under my eyes? As we know, lack of sleep, anemia and stress can induce dark circles.Chamomile is often suggested as a home remedy for under eye circles, and most home herbalists will tell you to put a couple of cool chamomile tea bags on your eyes and rest for ten minutes. Here is a better way to lighten dark circles: through chamomile essential oil, properly applied. 1.Purchase a supply of 100% organic chamomile essential oil from a trusted supplier. 2.Mix 1 tablespoon carrier oil with 2 drops of chamomile oil in a glass. If that is not enough,add more chamomile in 2 drops.Don't over do. Your eye skin is sensitive. 3.Clean your face. Eye cream conflicts with chamomile oil. Apply your mixed oil on your eye cream overnight. 4. Drink Chamomile Tea to help you fall asleep. Keep the tea bag if you want to use in day time. You will see better if you get the lenses that the doctor prescribed. If for some reason a lens with cylinder isn't available, -3.75 sphere is the closest, not -3.50. Is iphone bad for kids eyes? All right, I think you are concerned about your kid's health. That is good. As a matter of fact, any one of the electronic devices on the market would give out certain amount of radiation to our eyes, leading to decreased vision and eye strain, etc.Therefore, you have to limit their use of iphones and get more healthy activities! Also take care of their rest and diet! How to make your eyes look less round? I think your eyes are very pretty!You can use a black eyeliner on your waterline.This instantly makes eyes look smaller. It will give you the apperance of longer eyes which is what you desire. Start drawing a line from the center of the top eyelid and out to the outer part of the eyelid. Smudge the eyeliner at the outer corner of your eye slightly so it is not just a solid line.Draw the eyeliner along the lower lid (on the eyelash line) now, starting in the middle and working your way toward the outer part of the eyelid.Gently brush a dry cotton swab over the eyeliner on the lower lid to smudge the color--this way it will blend in more naturally with the lower eyelashes.